The Mega Man series is one retro gamers look back on fondly, but there’s a lot of talk about the quality of the fourth, fifth and sixth installments. Depending on who you ask, you might hear them say “ohhh you could tell they were running out of ideas at 4”, or “things really started going downhill with 5, and I didn’t even bother to play 6”. Whether it was a lack of originality or simply a time when gamers were moving onto other things, those last few games didn’t get quite as much love. But… why? Maybe it’s because I’m a glass half-full kind of guy, but I’m of the impression that all six games really have something going for them. 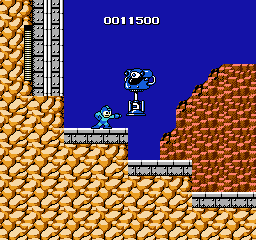 The first game is tough to go back to after playing the sequels, but it still has that Mega Man charm to it. It’s tough as nails, but once you crack that hard outer-shell, you’ll see that the inside is full of fluffy 8-bit goodness. Obviously not as good as 2 or 3, but that goes without saying. 4 was what some fans call the “beginning of the end”, and I couldn’t disagree more with that statement. 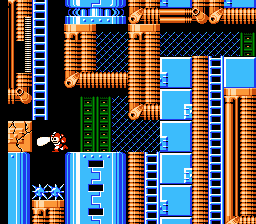 The addition of the Mega Buster was an obvious upgrade, and I really liked how every stage had a unique obstacle; the rain and waterfalls in Toad Man’s stage, Bright Man’s grasshoppers crossing spikes and tricky swooping platforms, Dust Man’s giant trash compactor with chunks you had to destroy to make it through, and so on. Ring Man’s platforms were also a fun challenge! Vibrant and colorful, too. 5 was a lot like 4, except slightly refined and tuned on, while 6 added branching paths and completely re-vamped Rush to have him morph into a body-suit with some really cool new abilities. Sure, a couple of the bosses and weapon upgrades were pretty lame in those last two games, but they were still tons of fun to play! These days, if anyone popular ever says something bad about a game online, what generally happens is that their legion of followers will pipe up in agreement. It snowballs into a “general consensus”, and it almost becomes taboo to go against the grain and say something favorable about it. 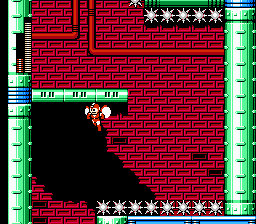 However – if you were to absolutely have me choose a weakest game in the series, I guess I would have to go with Mega Man 5. That’s somewhat odd, considering I owned it as a kid and played it a TON. I also remember exactly what I did on one of weekends I rented it. Whenever my mom would let me rent a game, it would often be with the understanding that I would allow her to run errands without having me complain about being bored. 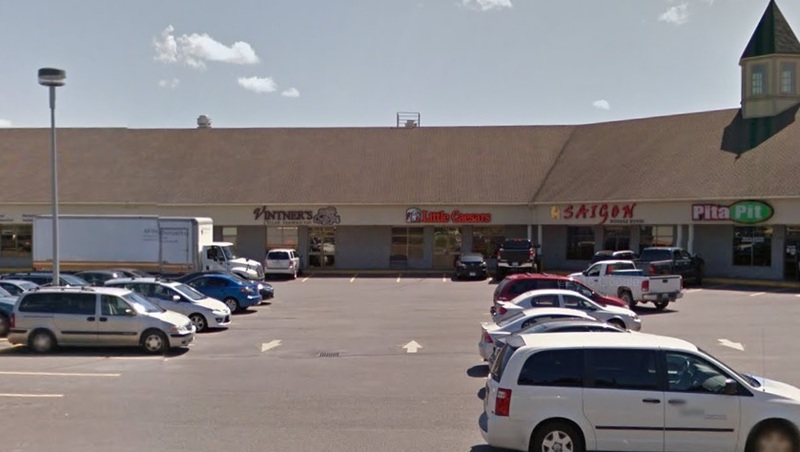 I was lucky enough to never have to take the bus after class because she worked at the school library, but I always hated those stops at the grocery or department stores. Renting a game was her way of coaxing me into being patient. Mom had to stay at the library a bit late one Friday, and to make things worse, she had a hair appointment immediately afterwards. If I was bored walking the aisles of the supermarket, imagine me waiting for her to get her hair done! The salon-salon used to be where I now get pizza-pizza. Waiting at the salon wouldn’t be all bad. My mom’s hairdresser had twin daughters who were my age and in my class. I was only about 12 years old at the time, but I had a HUGE crush on one of them that everyone in my grade knew about – probably even the teachers. It was just a silly and juvenile thing, but I just thought she was the prettiest girl I had ever seen. I would often ask people if she had a boyfriend (as if those things were serious business in Grade 6), and I would sometimes talk about her when she wasn’t even relevant to a conversation – no wonder people knew about it. Anyway, the twins were both very friendly, and I’m not sure why I chose to “fall in love” with one and not the other. They hung out with a more popular crowd than I did, but they always treated me with respect. Whenever my mother and theirs would go for coffee after church and Catechism (yep, I was one of *those* kids), I got to sit and chat with both of them for a while. Of course, just talking to them and making them laugh gave me butterflies. That night at the salon, I thought about Star Man’s anti-gravity stage, Charge Man’s choo-choo train stage, and how much I couldn’t wait to play the game. But then whenever I would hear the ladies mention the twins, I’d snap out of my daydreaming and listen intently. I really don’t know what I was expecting to hear – maybe their mother would say something to the effect of “oh they really love Andre”, or something of that nature. She obviously never ended up saying anything like that, but it was fun to think about, and it helped pass the time as I waited. 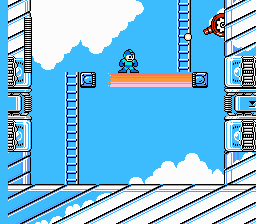 I went home that night not only wishing I owned Mega Man 5 one day, but also wishing I’d someday get to go on a date with the first crush I ever had. Hell, I would have even settled for a slow-dance! A few weeks later, I went to my first school dance. Late that evening, they played a couple slow songs in a row, which was a clear-cut sign the evening was winding down. I had spent most of the night trying to work up the courage to ask her to dance, but one of the more popular guys always beat me to it. There was no way in hell she’d even say yes if I asked anyway. During one of the last songs of the night, I slow-danced with another girl the “classy way” – our arms outstretched with hands on each-other’s hips or shoulders – while everyone else seemed to be “hug-dancing”; chest-to-chest, arms around each other’s shoulders, that kind of thing. The girl I was dancing with had to leave in the middle of the song because her parents were there to pick her up. I wasn’t too bummed out about it, so I turned around to have a seat to wait out the rest of the night. Just as I did that, there was my crush with her arms wide open – “ANDRE!! !” she said, and my heart skipped a beat. *She* was the one who grabbed *me* and brought me in for a “hug-dance”. That was as close as I ever got (aside from maybe a few other slow-dances), but talk about an unforgettable moment from my childhood. Here I am with my date that night. I played it a bit that night we got home from the hair salon, and then again the next morning. I was at Crystal Man’s stage when my sister came upstairs and asked if I wanted to watch a movie with her. She had rented Forrest Gump, which was an incredibly popular movie at the time, so I decided to go down and see what all the fuss was about. To be honest with you, I greatly enjoyed the funny and not-so-serious parts of the movie… but WOW, was I ever bummed out by the time that movie was over. 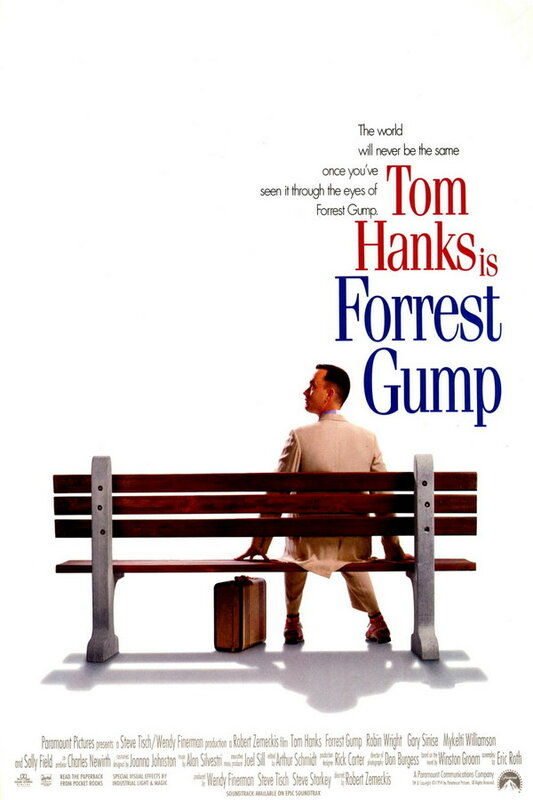 So many people doing drugs, dying, getting sick, or losing their legs… I wasn’t as aware then as I am now of the historical context of most of the scenes in the movie, but it was just an all-around depressing film. By the end of it, I had a headache from the wide range of emotions I had while watching the movie. 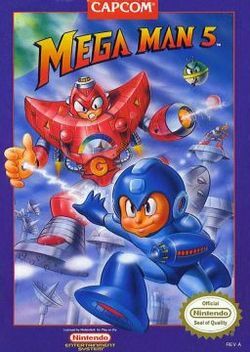 I was so bummed out, and when I saw that the weather outside was rainy and cold, I just went back to playing Mega Man 5. But even when I did that, I couldn’t stop thinking about poor Bubba and Jenny… dammit, Forrest! The skies eventually cleared outside, and I went across the street to my friend Michael’s place to play Spot – the basketball game where you shot at the hoop from various spots, and whoever succeeded in scoring from each of them first won the game. I can’t recall who won that day – I just know that I spent the rest of the weekend trying not to think about that damn movie. It bummed me out so much, but hey – it would probably make for good conversation with the twins at The Coffee Mill the next day. Still a bit depressing to watch today, but I appreciate it a lot more now that I’m older.